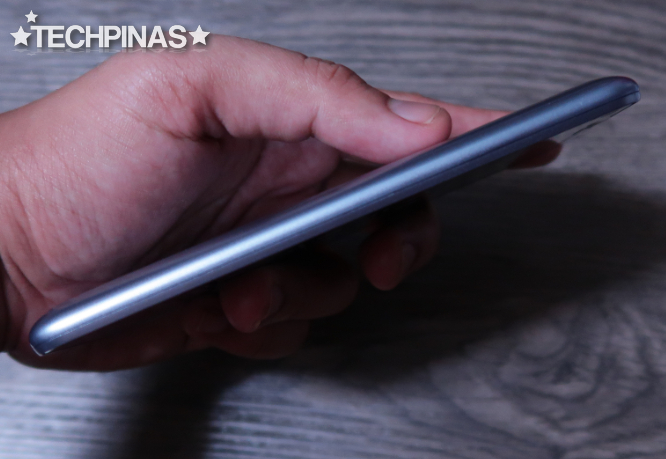 Since Samsung Galaxy Note7 has already been cancelled, I guess it's safe to say that the Cherry Mobile Iris is the first ever Android handset model from any manufacturer - both local and international - with an Iris Scanner that's officially released in the Philippines. Our friends from CM gave me my review unit at last night's Cherry Mobile Thanksgiving Event for Dealers, Bloggers, and Members of the Media held at Blue Leaf Filipinas in Paranaque City. 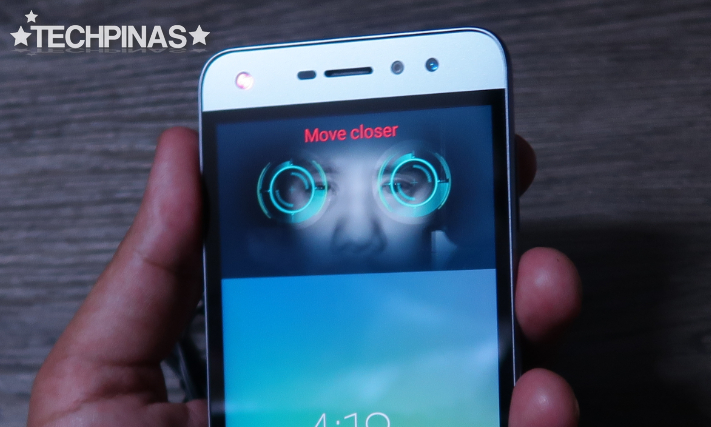 I've been playing with the device for several hours now and if there's one thing I can tell you about it, it's this: The phone's Iris Scanner is very snappy when used to unlock the interface. The sensor is also very accurate. I'm impressed, actually. 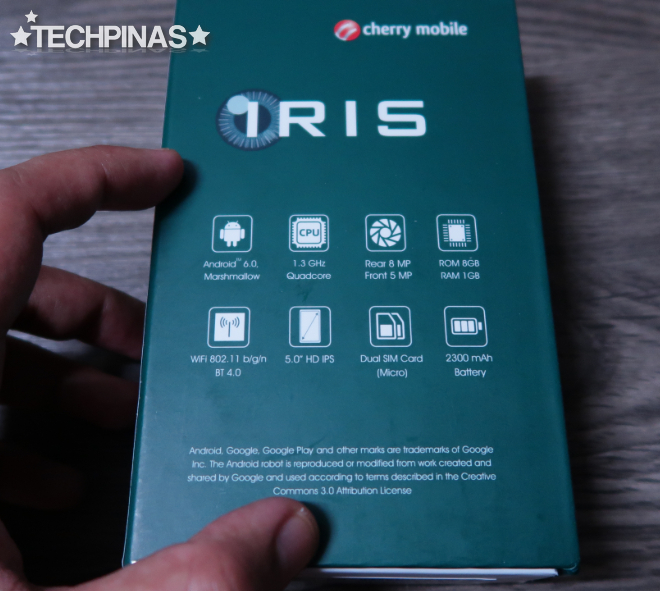 For those who are interested in checking this release, Cherry Mobile Iris is now available at all CM Concept Stores, kiosks, and authorized retail partners across the country. 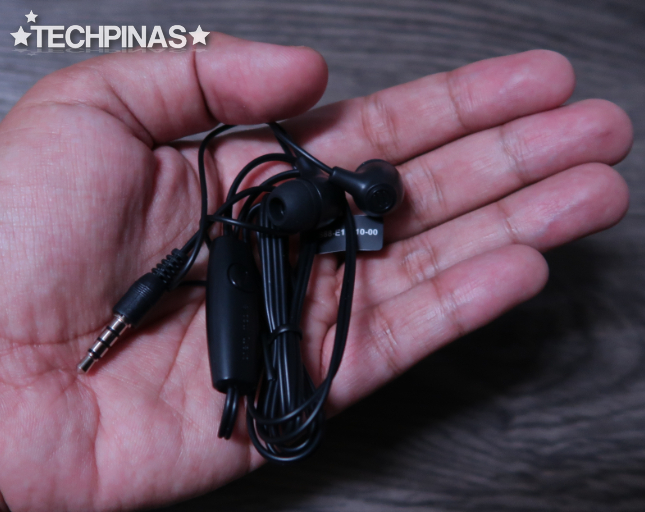 You can get it for only Php 3,499. Inside the box, you'll find the unit itself, pair of earphones, microUSB to USB cable, travel charger with 1A output, 2,300 mAh Li-Ion battery pack, and user manual. The earphones have noise-cancelling in-ear silicone buds and a microphone for making calls. There's a quick guide for registering your irises. It's actually very easy. 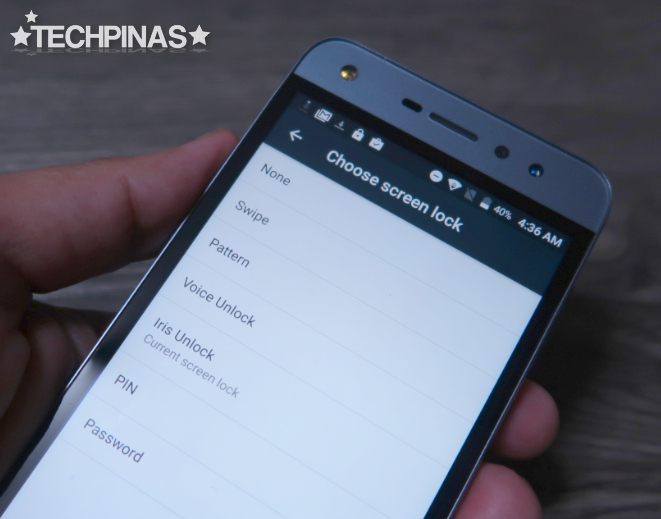 You can do it while setting up the phone right out of the box or by going to the device's security settings, clicking on Iris Unlock, holding up the display of the handset to your face from a certain distance, then looking at the sensor above the screen. The smartphone itself will guide you through the process. 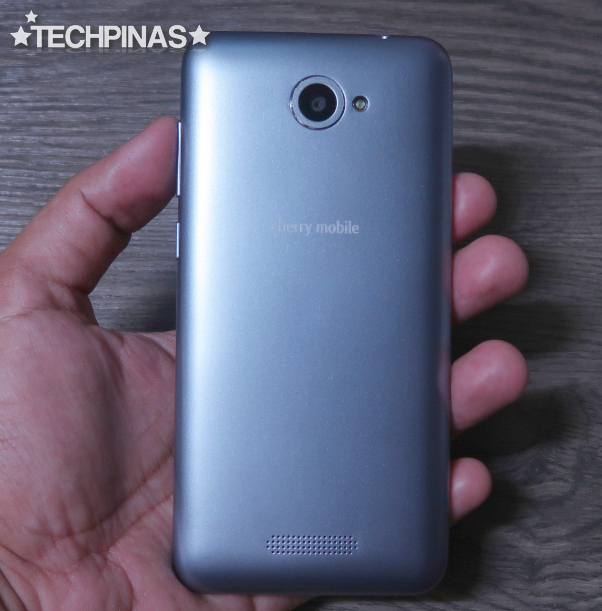 Cherry Mobile Iris sports a 5-inch HD IPS display that delivers pretty vibrant colors that pop up along with fine details when the screen is viewed from various angles. As expected, the phone has two cameras. There's an 8 MegaPixel autofocus shooter at the back and a 5MP selfie cam in front. I'd say their performance is just similar to that of other CM handsets in this price echelon; Nothing to scream for but relatively OK in well-lit conditions. 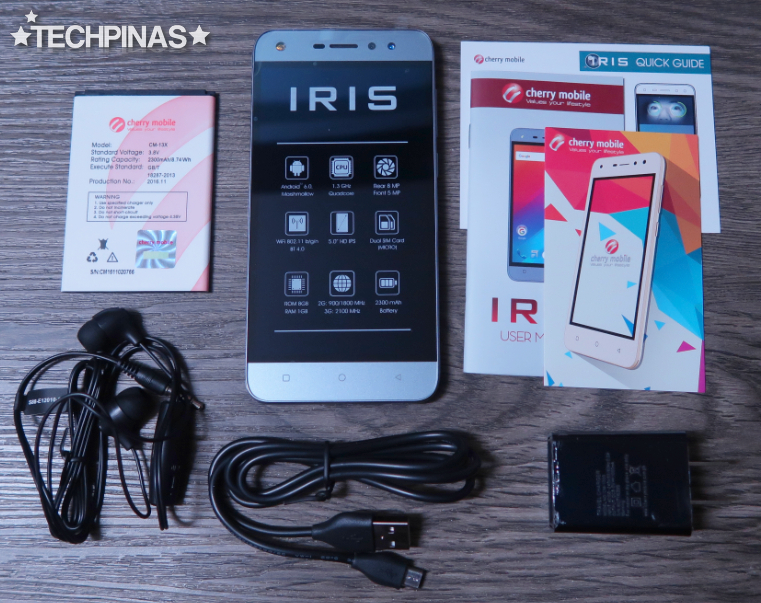 Powered by the above-mentioned 2,300 mAh battery pack that delivers around a whole day of uptime with regular use, CM Iris has Dual SIM Dual Standby capability via its two microSIM card slots and supports 3G HSPA+ connectivity. 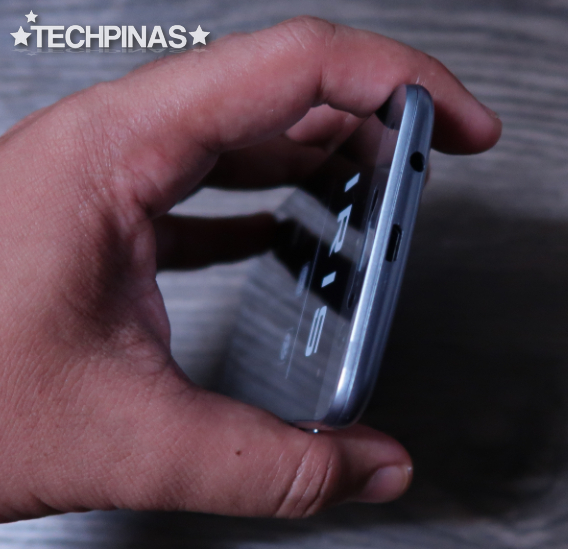 The phone's microUSB port for charging and data syncing is located on top of the device alongside the 3.5mm audio jack. 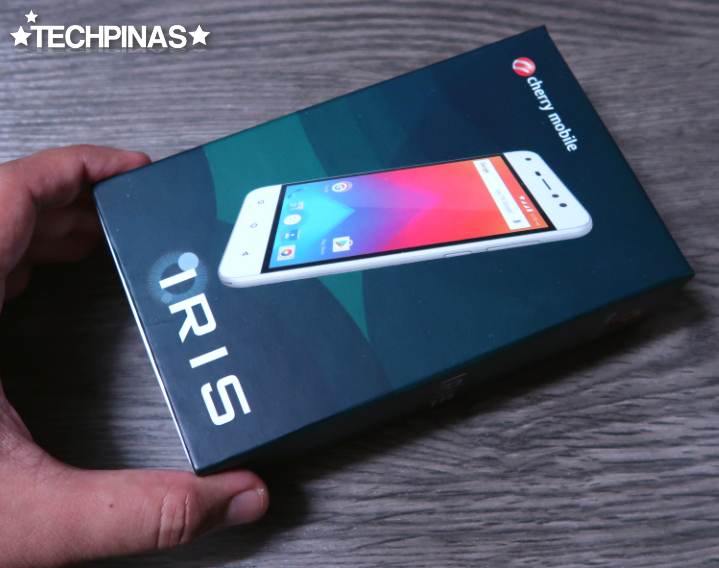 At its heart, CM Iris is powered by a 1.3 Ghz Quad Core ARM Cortex A7 and Mali 400 GPU based MediaTek MT6580 processor, has 1GB of RAM, and comes with 8GB of storage (4.18GB user available) that can be expanded using the dedicated microSD card slot. 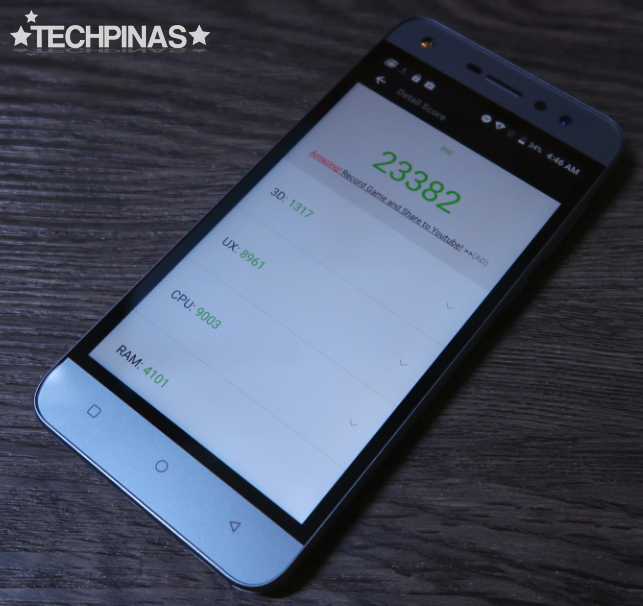 Together, these innards give the handset an Antutu Benchmark Score in the range of 22,000 to 24,000. Here, I got 23,382. Needless to say, you can't call this model a powerhouse release in terms of its internal hardware. But it should be good enough to run your popular social networking apps, a good mobile web-browser, and light 2D and 3D games that you can get from Google Play Store. 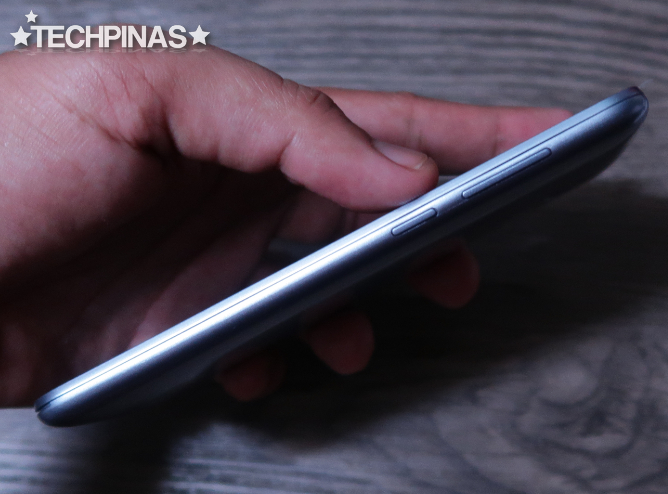 In terms of design and build, this smartphone is just alright. The back plate - replete with metallic sheen - has a rounded, pillow-style look and rests nicely in the hand. If you ask me, I think the circular accent framing the camera is the distinguishing design element of this release. 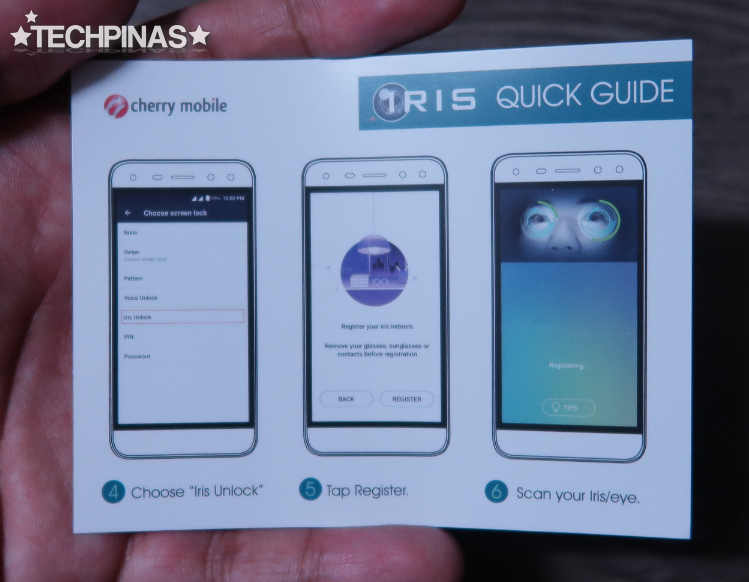 Clearly one of the most daring releases of the leading Pinoy handset company, Cherry Mobile Iris allows budget-conscious Filipino consumers feel the wonders of the Iris Scanner in providing an extra layer of privacy and security as they go about their every day mobile experience. 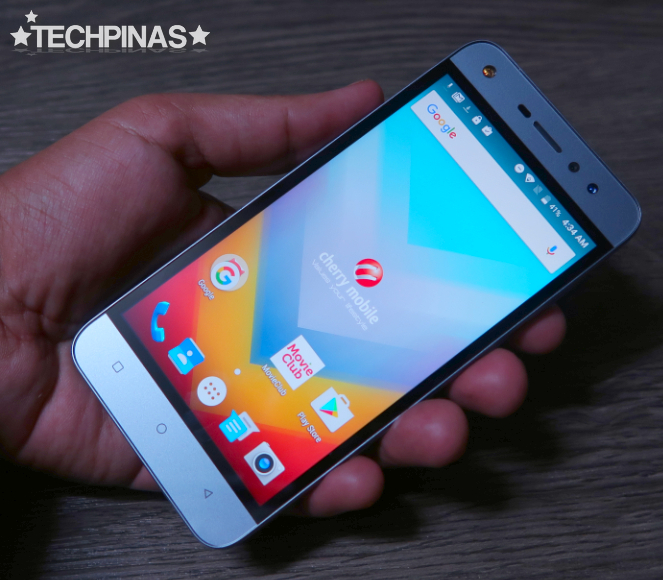 Kudos to Cherry Mobile, really, for bringing this relatively new technology in the entry-level Android smartphone category. That's really something, isn't it?